A new report says that North Korea shipped $1.8 million of rare earths to China in May and June of this year. North Korea exported massive amounts of rare earth elements (REEs) to China in recent months, a report from a South Korean-based trade organization said this week. According to a report published this week by the Korea International Trade Association, in May and June of this year Pyongyang exported 62,662 kilograms of REEs to China for $1.8 million. The report said that Pyongyang’s REE exports to China totaled $550,000 in May and $1.3 million in June. North Korea first exported REEs to China in January last year, when it shipped roughly $24,700 worth of them to Beijing. It later halted the exports, however, only to now resume them at a dramatically increased rate. REEs are seventeen different chemical elements that are used in many modern technologies. Although REEs are relatively plentiful, extracting them is labor intensive and ecologically damaging. As such, many Western countries have stopped mining REEs and China currently holds an overwhelming share of the market. Because REEs are used in a variety of important industries, including green technology, defense systems, consumer electronics and cutting-edge products, their importance is increasing, sparking competition among countries to secure more of them. None of this has been lost on North Korea. Japan-based pro-North Korea media outlet Choson Sinbo reported in March that REEs are plentiful across North Korea, with the country holding almost a billion tons of them. The report also claimed that North Korea’s REEs are relatively easy to mine and develop, and that Pyongyang has been eagerly exploring ways to do so recently. Its most notable accomplishment on this front came last year when the state-owned Korea Natural Resources Trading Corporation signed a 25 year joint venture with SRE Minerals — a privately held corporation based in the British Virgin Islands — to develop REEs deposits in Jongju, North Korea. The joint venture company, which was named Pacific Century Rare Earth Mineral Limited, has already been granted permission to build a processing plant on site at Jongju, which is located approximately 150 km northwest of the capital of Pyongyang. At the time the joint venture was announced, SRE Minerals released an initial assessment that claimed that the Jongju deposit holds 216 million tons of rare earth oxides, which include light rare earth elements (REEs), heavy REEs, and rare earth minerals. This would more than double the current global stockpiles of rare earth oxides, and would mean North Korea controls six times the amount of rare earth oxides as China. 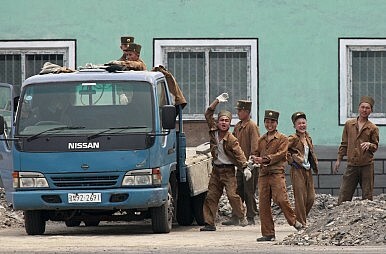 Not surprisingly, North Korea has been eagerly courting other European and Asian investors to help it develop its REEs. As Choi Kyung-soo, president of the Seoul-based North Korea Resources Institute, told Voice of America (VOA) earlier this month, Pyongyang sees increasing REE exports as a surefire way to stimulate the national economy. He cautioned, however, that the exact amount of REEs buried in North Korea is unknown, and emphasized that Pyongyang lacks the proper technologies to discover and extract them. Previously, Choi noted that North Korea’s persistent power shortages hamper its mining potential. North Korea’s business environment also scares away many potential foreign investors, given the government’s propensity to seize foreign holdings in the country with little regard for the contracts it previously signed. Still, North Korea’s rare earth potential is overwhelming. In a 2012 report, for instance, the North Korea Resources Institute estimated North Korea’s mineral wealth at 11 quadrillion won ($9.7 trillion). An earlier 2010 South Korean-government report put North Korea’s mineral wealth at 7 quadrillion won. Therefore, while it’s far too early to say that North Korea’s REEs will have a huge impact on the country, the potential is undeniable. Relations between North Korea and China are complex... and strategic.